It allows you to make a cartoon of yourself. You can cartoonize your photo in one click. It is very easy and totally free! 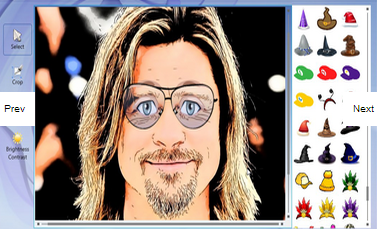 You need simply to select your photo from the button below, and in the second step you choose the cartoon effect. This is another awesome web tool that allows users to not only cartoonize their pictures but also customize them the way they want by using different effects and colors. 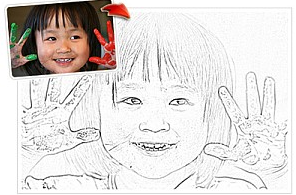 Create digital photo pencil sketch, just upload a picture and we will do the rest. Then print them out for your kids to paint over. Portrait Illustration Maker is a service which provides character icons completely free of charge!